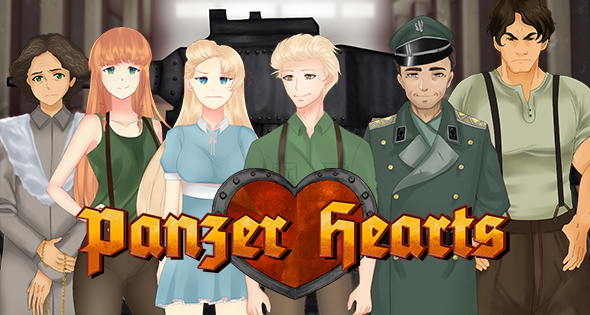 Panzer Hearts is a story-driven adventure about romance, set in an alternate second World War. Jump in the skin of a young boy eager to see some action on the frontlines when fate has different plans for him. Well… fate being you and the choices that you make. Imagine an alternate universe, parallel to the one we live in, and take a step back to the second World War where the Nazi regime is strict and pushing borders, influenced by Egyptian culture. The dream of a young boy named Bastian is to become a hero of the Empire, and thus he volunteered for the military. After days and weeks of traveling in mud, crossing the eastern border into Kholodnovian territory, he and his comrades are finally at the frontline. For a second time, he volunteers to scout the area, but things take a wrong turn and he comes eye to eye with Nephthys, the goddess of Death. Bastian wakes up in a hospital in Theber, and fear creeps up on him. He had let the Empire down, he had let his widowed mother down. He didn’t die the heroic death he had told her about, and he certainly didn’t become the hero he wished to be. Returning to the frontline is his only hope for doing either, but he is stopped by the nurse. His dream shatter as he learns about the damages he sustained from his first combat; he will never step foot on a battlefield again. Appearing out of nowhere, Colonel Kontar Ackermann appears in front of Bastian. The fear spreading throughout his entire body, Bastian claims he wants to go back to his comrades, but the Colonel has something different in mind. Kontar offers Bastian a job in the factory, not quite as admirable as serving the Empire in the muddy fields, but it would mean he can continue to serve the Empire. Bastian is quick to take the offer, and soon finds himself building tanks for the Emperor’s war party. Things are not always what they seem to be in the brainwashed population. Secrets are uncovered and life as he knows it will forever be changed; depending on the choices he makes. The visuals in Panzer Hearts are simplistic and light traces of the anime and manga art style can be perceived, especially in the facial expressions of the characters. Vibrant colors are not often used, but the darker shades give the visuals a certain gloomy, yet charming view of a country run by dictatorship. Acting as a slideshow, the game is completely still until you move onto the next scene, where only a minor detail is changed, giving the illusion of being animated. The backgrounds act as the scenery, but they rarely change even when the storyline describes the changes in scenery in detail. Although this does give you the creative freedom to visualize the area in your head, a few animations could really bring the atmosphere to a new level. Right off the bat, the sound design is a huge success. The symphony music soundtrack is stellar, and the ambiance sounds are only present during moments where the visuals and dialogue are not as important. While the game lends itself to voice overs, these are lacking throughout the gameplay. 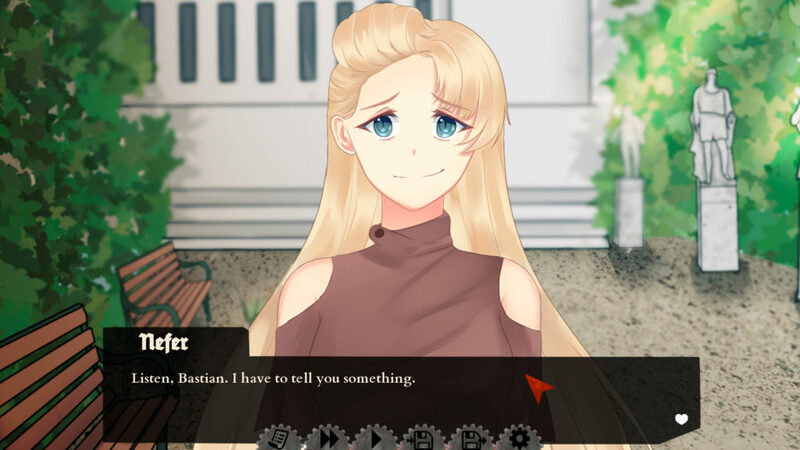 As Panzer Hearts is a visual novel, there’s not much to do other than clicking the mouse to keep the conversation flowing and to click on a few choices you get to make. Puzzles are not implemented, but even if they were, they would not be able to elevate the gameplay unless changes are made. 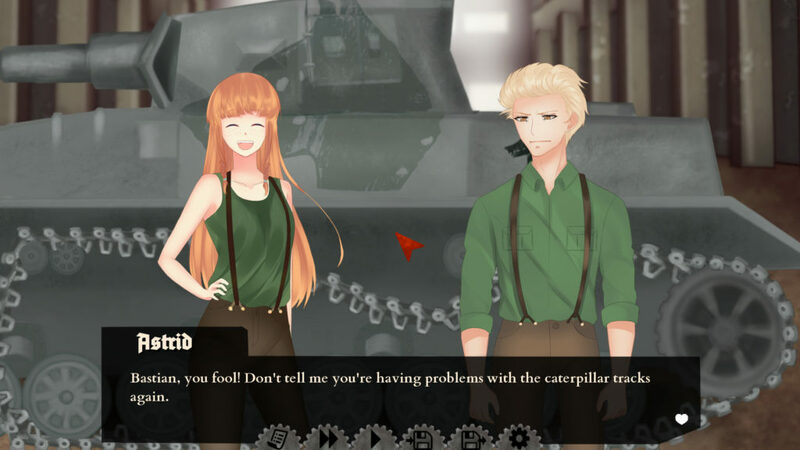 Instead, occasionally, the player must “build” a tank which one would assume is a puzzle in itself, but all you are required to do is drag and drop a few items onto the shell of a tank; the items will place themselves. We feel that this part could have been polished more to feel like one is truly building a tank with little to no instructions; a tank building simulator of sorts. The game is heavily story-driven, yet the choices that you get to make don’t feel like they groundbreaking until the very end. In fact, there are only two choices each time and rarely will the game punish you for the choices you make. Due to this, the aspect of being story-driven truly comes forward. The storyline is what makes the game and without it there would not be a game at all. Let’s dig a little deeper into the storyline; not the actual story; but the consensus of the storyline. Panzer Hearts is a storytelling adventure about romance without the actual dating scene; meaning you won’t be showering the potential pool of girls with gifts. Instead, the game puts you in a rollercoaster as the protagonist slowly figures things out by finding his own voice in the company of two distinctive girls. There are only two endings and while one ending might feel better, both endings will make you feel bad. We feel that there is room for more alternative endings with some subtle changes. There is some replay value as there are two endings, but with the skip feature skipping large chunks of dialogue, this value is quite low. 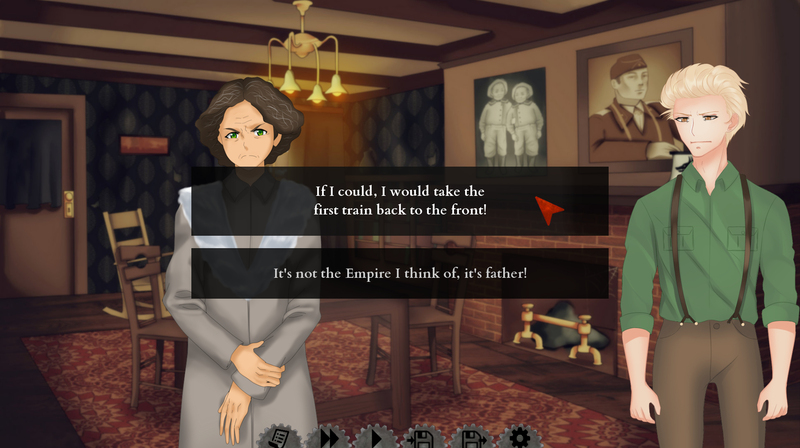 Panzer Hearts is a decent visual-novel with a good blend of alternate history, brainwashing and romance. The storyline is on the short side, and whilst there is some replay value due to two different endings, it’s certainly not enough. At the same time, it is a game that you should play at least once for the intriguing storyline and odd choice of Egyptian influence.